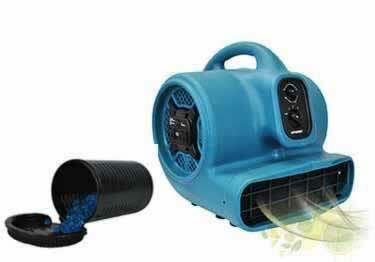 XPOWER''s Scent Distributing Air Movers offer the same great air movement as XPOWER standard air movers while also featuring a patented refillable scent diffusing cartridge. Scent Diffusing Air Movers let you quickly reduce unwanted odor by circulating a refreshing fragrance throughout the room. Great for use in: hospitality, spas and salons, retail, healthcare, offices, gyms and fitness centers. Scent Usage: The cartridge on scented air movers are capable of containing 2oz of scented beads, but we do recommend that consumers use 1oz of the beads when introducing a scent into an environment. At high-speed, the beads should be able to continuously scent a room for a week. In addition to that, we do suggest that the consumer store the unused portion of the beads in a sealed/air-tight container. Storing the cartridge with the scented beads in a ziplock bag can also help to extend the life of beads that have been put through a cycle of the air mover. What's the duration of the scent tube fragance ? Exclusively manufactured with masking tape already attached! Available in 2', 4', 10' width rolls. Prep work easier & faster. 6 mil thick white flame retardant polyethylene, great for creating temporary enclosures or as a surface protector.